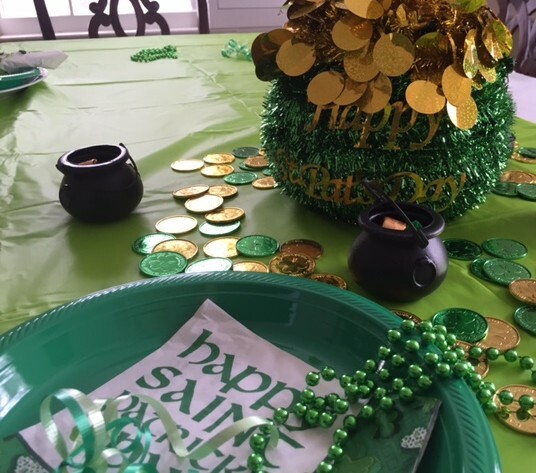 The party’s over, so now what? You’re probably thinking that it’s time for me to move on from St Patrick’s Day, with Easter coming this weekend. Well, I promise I also have that on my radar, but I just wanted to share tonight’s dinner with you. 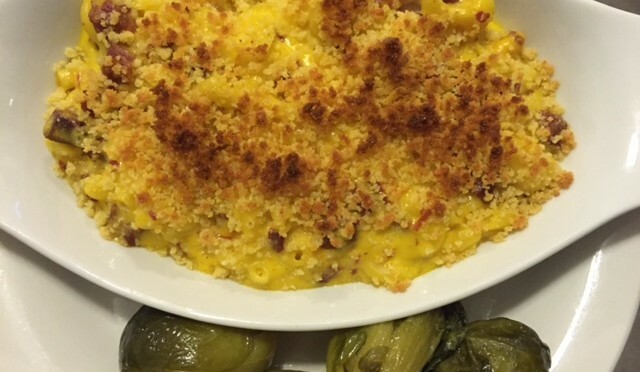 Move over, lobster mac and pulled pork mac. 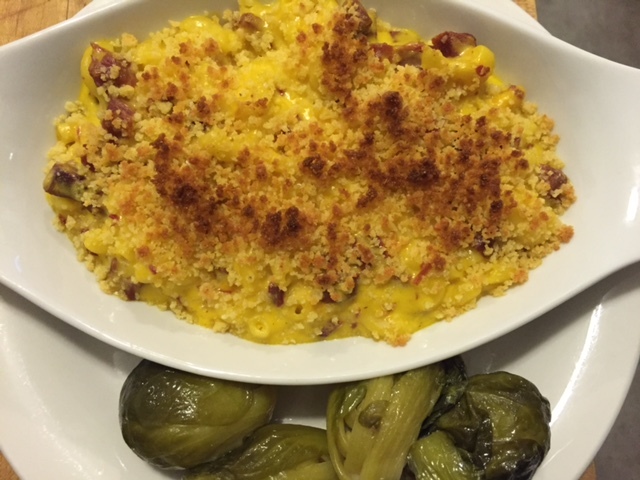 You’ve got to try Irish mac & cheese! 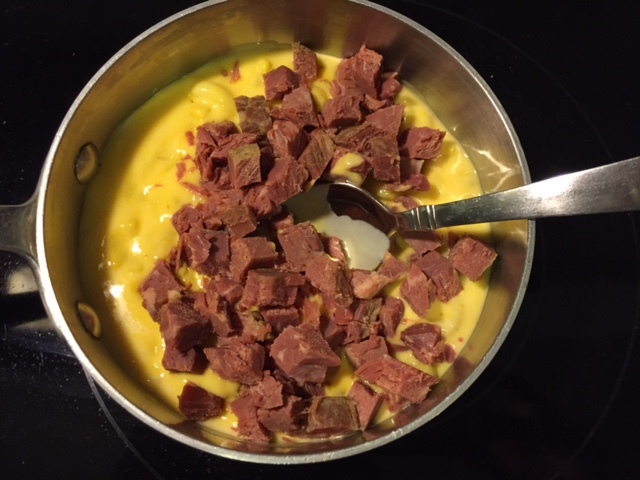 First, you start with leftover corned beef. That’s the whole point. You know how some of us will roast two turkey’s on Thanksgiving just for leftovers? 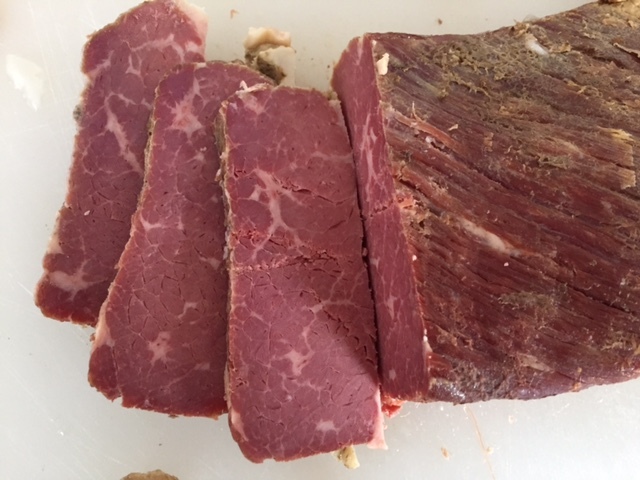 We do the same thing on St. Patrick’s Day, with corned beef brisket, as I love my hash for brunch. Start by making a Béchamel sauce with butter, flour and milk, and then stir in grated cheddar cheese. 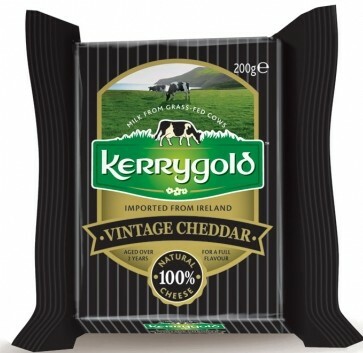 In this dish, I prefer to use Kerry Gold’s Vintage Cheddar. Remember to add 1/2 cup grated cheese for every cup of milk. Next, add cooked elbow macaroni. 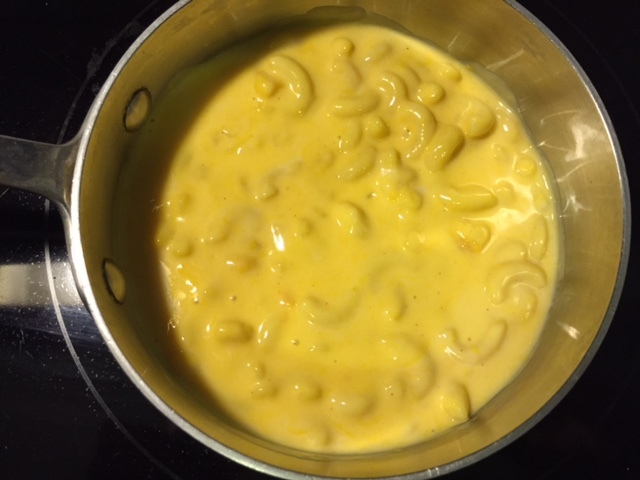 The magic ratio is two parts sauce to one part pasta, to guarantee a creamy mac & cheese casserole. I can’t emphasize this enough. It’s always disappointing to spoon into a casserole of dried out, gluey macaroni mass. In fact, you may notice I’m not giving specific measurements for the recipe. That’s because I believe in making mac & cheese to order according to the number of servings I need. If it sits in a casserole overnight, the pasta will absorb even more of the liquid as the pasta continues to swell from the sauce and the goal is to keep it creamy (also we’re making this with leftovers from the fridge so whatever quantity you have is the right amount). 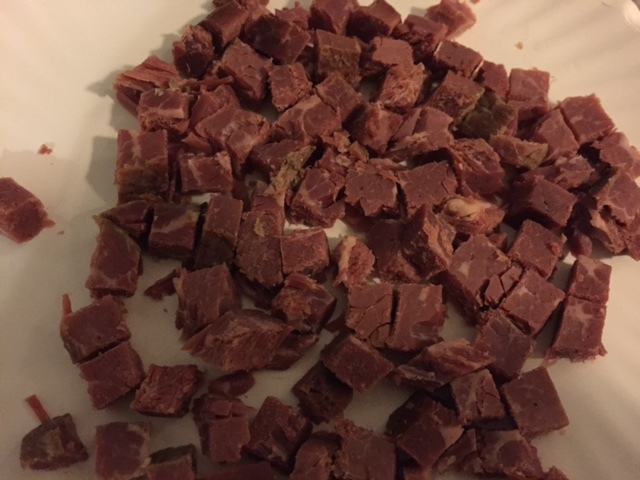 After stirring in cubed corned beef, spread it into a casserole or ramekin and top with a mixture of buttered, dry bread crumbs and parmesan cheese. (I always use leftover Irish soda bread for this if I have any.) Bake uncovered at 400° until bubbling and golden brown on top. So with that extremely comforting comfort food, I’ll say goodnight and start working on my Easter post in the morning.